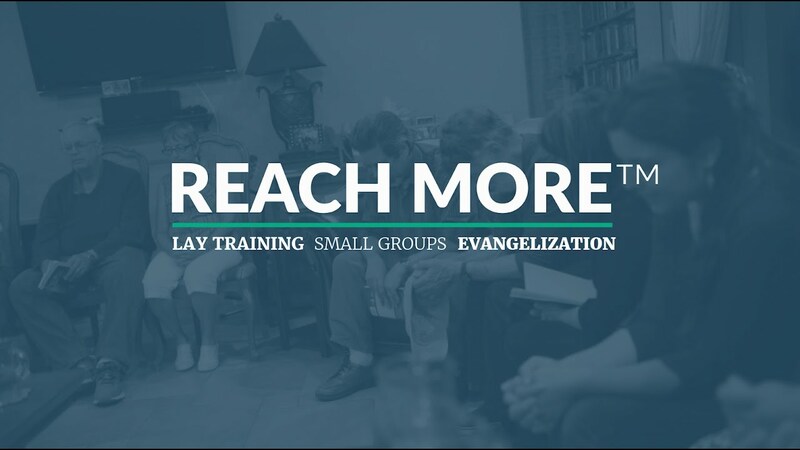 Reach More™ Coaching guides local Catholic ministries through inviting and forming an initial group of lay people for a Reach More Training Group. The Evangelical Catholic’s experienced, professional coaches personally coach local leaders by phone or video, guiding each crucial step of forming this initial training group. The ministry sends these leaders on mission to powerfully impact lives by leading Evangelization Small Groups. This impact quickly spreads and multiplies as the Lord calls people reached by these initial leaders to be new leaders. An expanding cycle of calling and launching laity in mission rises, unleashing vibrant locally sustainable evangelization. Reach More Coaching was the most Catholic and most affordable option. I’m in a terribly poor parish, so to get this level of coaching for my evangelization director is a steal.​ The Reach More System, combined with Coaching, raises up the laity to do what they should be able to do. The content helps laity grow in depth of prayer steeped in Catholic tradition and also gives them the tools to reach the world, reach their neighbor. Many ministries want to make a larger evangelical splash. Though the formation of lay people in the initial training group will launch a movement that eventually reaches hundreds, some leaders want to immediately set a new, evangelical tone in the broader ministry culture. A Reach More Campaign works BOTH to launch the grassroots movement AND to inspire the entire Catholic community. Two Mission Nights led by the EC’s most outstanding speakers engage more people in this new evangelical vision. Campaign ministries also receive strategic coaching for maximum impact when rolling out the EC’s 1% Challenge, driving a culture of more regular prayer among laity. Most powerful parish mission night in 10 Years. Why wait? You need this NOW! Let's take your ministry further faster. Together. Think of this as a covenant, not a contract. We are going to do this together. Let’s get into the trenches and figure this out. How do we reach the lost? Who is God calling you to go to? How do you make disciples? We come to you. You come to us. We work things out over the phone every week. You attend webinars and trainings. We teach your leaders. You take care of them. We ask the tough questions and you make hard, smart choices to transform your ministry. Everything we do is tailored to you and your staff and your people. Soon the impossible dreams of reaching the lost on campus and in your parishes is possible. Before you know it you are confidently doing this on your own. That’s the plan. We will keep after this together until we get there. If you want to be formed yourself and know how to evangelize, absolutely have an Alliance with the EC. They aren’t going to just do it for you, they’re going to teach you how to do it and they’re going to make sure you know how to do it, and then they’re going to let you go do it. As a professional that’s what I want. In the past I’ve tried to take part in building the Kingdom but in frustrating ways, in ways that were earnest but not terribly fruitful. Its life giving to believe that now I have an intentional and clear process, a vision that can lead to real conversion and building up of the Kingdom here at St. Thomas Aquinas Parish. Our parish council has been eager to learn the principles underlying Evangelical Catholic and has begun to “dream new dreams and see new visions.” I am grateful that Evangelical Catholic has come to St. Gabriel. Through our Alliance with the Evangelical Catholic, our students have undertaken Evangelization as our primary mission. This has been a ‘dream’ that I had for years. Now it has become a reality. The EC has made a major difference in our ministry, not only in evangelization, but also in deepening the commitment of our involved students and forming them into strong Catholic Christian leaders. What an EC Alliance does is establish students and equip them as Catholic believers. Establishing students gives them the stability and depth of faith in Jesus and love for the Holy Spirit that allows me to multiply my efforts on campus. Since we started our EC Alliance, our students do what Jesus did, allowing us to radiate out the love of God to those who don’t know Jesus. Disciples become better husbands, better wives, better families, leading to a culture of discernment that will take care of vocations crisis.